I must admit I am addicted to sending out snail mail cards to different friends and relatives. What greater joy than getting something in the mail these days? These cute and funny cards for all occasions will bring a chuckle and I know they will make the person at the receiving end smile. 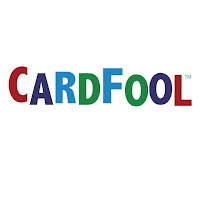 Cardfool.com is a great place to find whatever you are looking for, and when someone is feeling down, how about a just because card....thinking of you. Sending out cards may be a "dying" art with the computer these days, but a card does bring happiness. I have a habit of sending cards all the time to those I know, a granddaughter in university, a friend who lives far away, those who are housebound or just birthday cards to my grown children. When one purchases Cardfool cards they know it will brighten someone's day! The easiest way to personalize and send cards online! ... CardFool is here to to make you look good with a great looking funny card. ... However you want to wish it, CardFool is here to help!